Entrance exams to UK schools usually want to get an idea of a child's underlying intelligence as well as overall academic ability. A school wants to find out not just what the student knows now, but also how quickly they are likely to learn in the future. One happy consequence is that they tend to get creative with their maths questions. Although you'll get your usual straightforward questions early on, the later questions can be downright fiendish, especially considering the age group. I've collected some of the best ones here. The first two are from the London girls' school consortium, which includes schools such as City of London, Francis Holland, South Hampstead and Channing. The third question is from an entrance exam for Hokkien school in Singapore. The final question is one of my own devising (which relies on prime numbers). Find the dimensions of a rectangle which has an area of 4800cm² and a perimeter of 320cm. Scholarship papers are always great for a challenge - these questions are from King's School Canterbury, Sevenoaks and Eton. 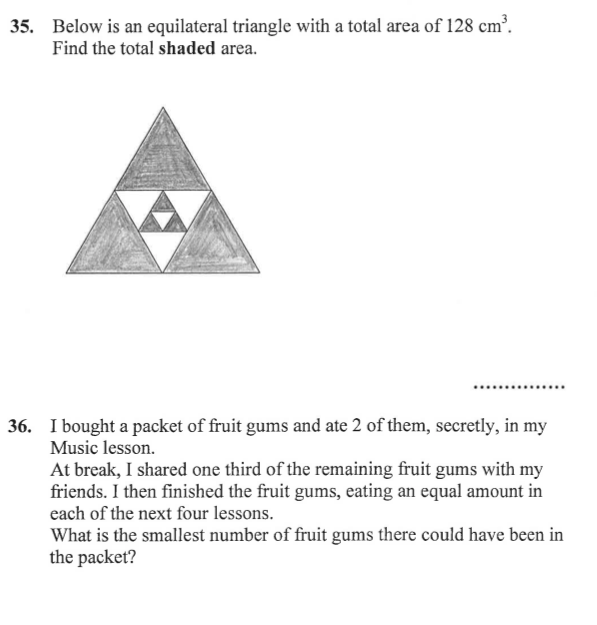 Unfortunately GCSE papers very rarely get that creative with their questions. However, some textbook authors still throw some interesting ones in there. In addition, there are plenty of intriguing questions to be found on 16+ papers. Since I frequently set these questions for homework, I will not publish the answers. However, you can always send me an email and ask for some guidance. 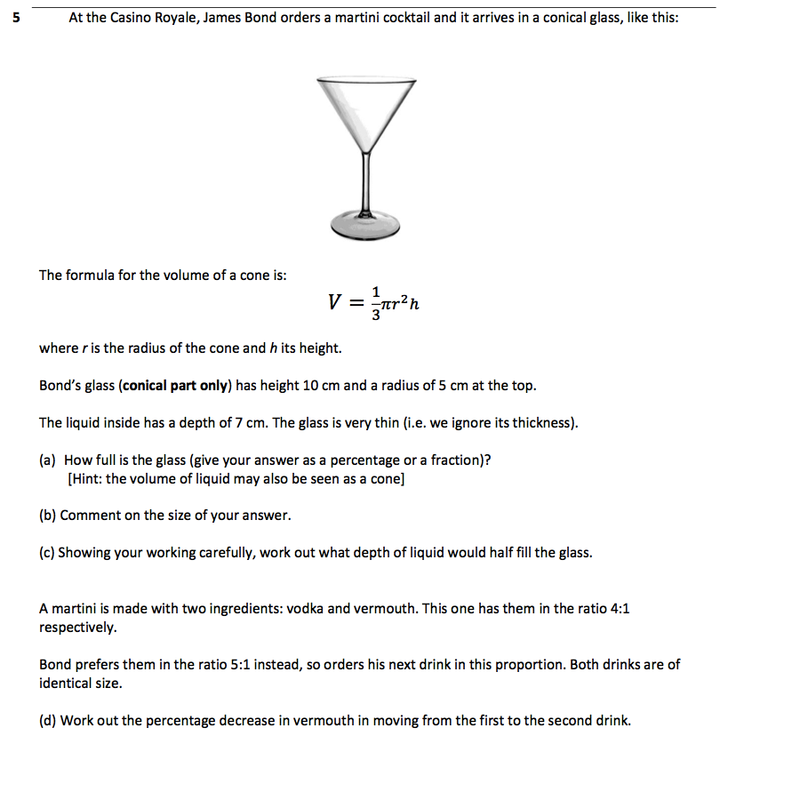 You can also find more 11+ exam papers here, and 13+ exam papers here.